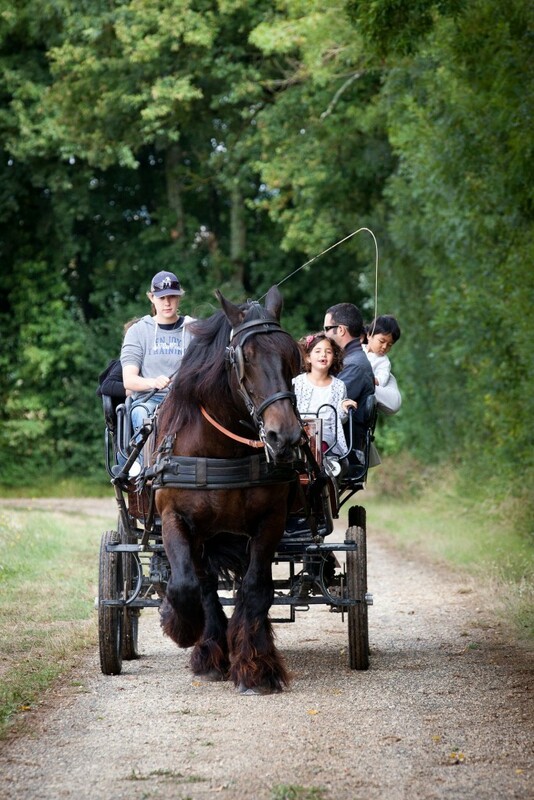 The Asinerie du Baudet du Poitou Nature Centre is devoted to breeding the oldest species of donkey in France, the Baudet du Poitou, and is a place where these animals are employed in various activities. The Nature Centre is situated at the heart of a pastoral area where the Charente patois is still spoken, on the edge of the Chizé forest and just a stone’s throw from the charming village of Dampierre-sur-Boutonne. The Centre offers educational and leisure activities on its 55 hectares of protected land. Holder of the title of Centre of Rural Excellence, the Harnessing and Traction Centre is devoted to promoting the merits of working with Poitevin equines. The Centre specialises in the art of harnessing traction animals and employs professional monitors. Lessons and courses are organised on site all year round and focus on a variety of themes (education, pack saddling, harnessing, animal traction…). Whether you are a beginner or already competent, our team will adapt to your requirements! Click here to see the programme for 2018 courses. If you are interested in a customised course, we can help! Learning modules and prices are supplied on demand. Our staff work with animals from the Asinerie as well as those belonging to individuals, professionals and governement organisations, training them for different uses (pack saddling, agricultural traction and harnessing). Please feel free to contact us for more information about courses in breaking in and training. Until the end of the nineteenth century, mule-breeding was one of the leading economic assets of the Poitou region. These sterile yet remarkable animals are the result of interbreeding the Baudet du Poitou donkey with female draught horses of the Trait Poitevin Mulassier variety. The mechanisation of agriculture and the army during the twentieth century largely reduced the use of traction animals, which caused the decline of equine breeding. By the end of the 1970s, the population of the Baudet du Poitou and the Trait Poitevin Mulassier had fallen dramatically. The alarm was raised after a census in 1977 by Annick Audiot which counted just 44 Baudet du Poitou donkeys. 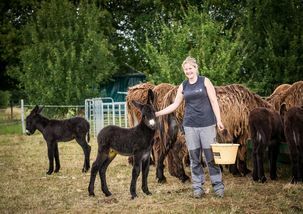 Since then, a conservation program has been implemented to safeguard the Baudet du Poitou donkey by ensuring both its reproduction and genetic identity. 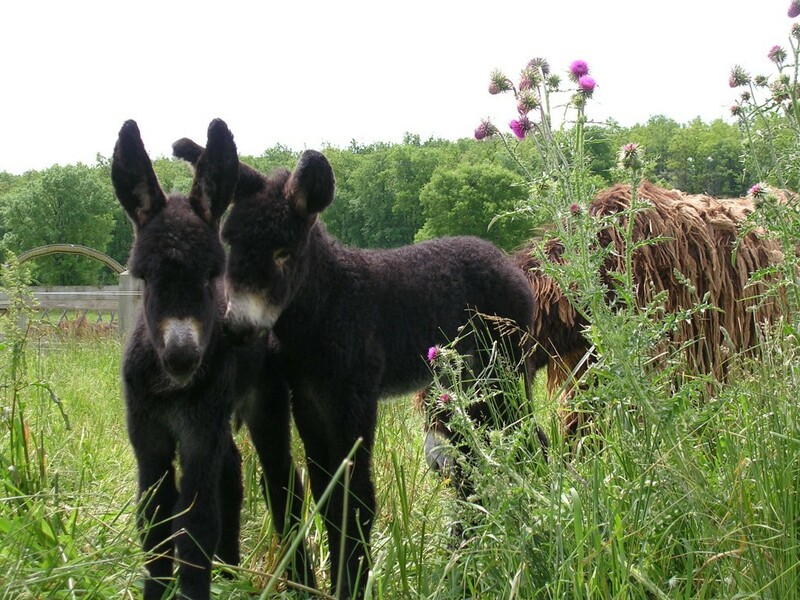 In the spirit of safeguarding the conservation of these local équine breeds, the Asinerie du Baudet du Poitou Nature Centre provides donkey breeders with reproductive facilities during the breeding season.